As January ends it’s time to start thinking about Valentines Day as, in two short weeks, we celebrate the day of LOVE! Now I don’t know about you but Gaz isn’t the greatest at thinking up gifts (anyone who follows me on Instagram will know exactly what I’m talking about!) and with every passing year it has become more and more apparent he needs all the help he can get the it comes to ideas. 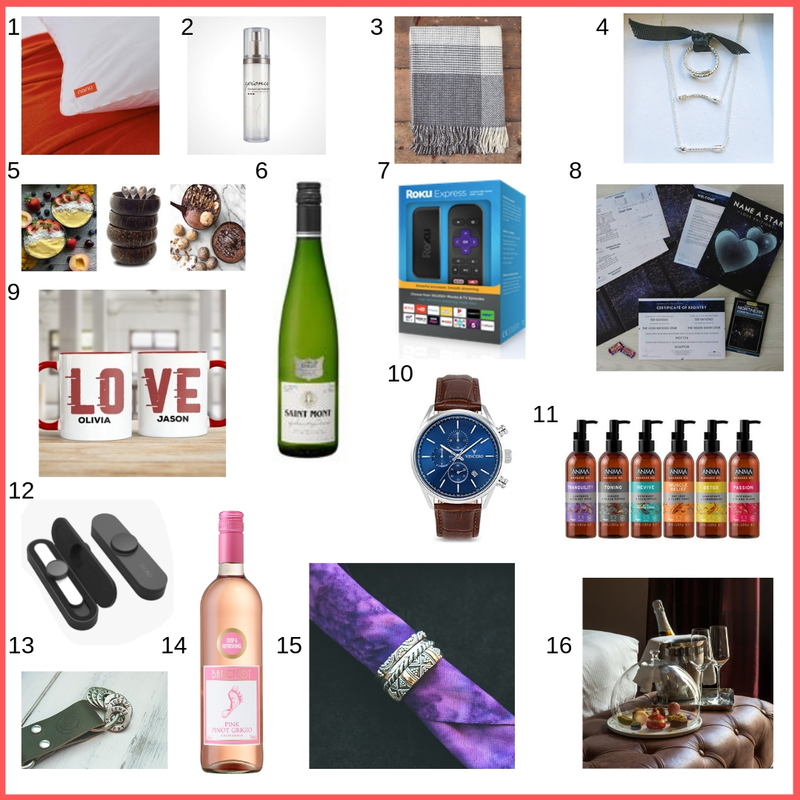 So I’ve put together a Valentines gift guide, for men and women, and hopefully we can all find a little inspiration! As far as I’m concerned, there is no better gift than the gift of sleep!! 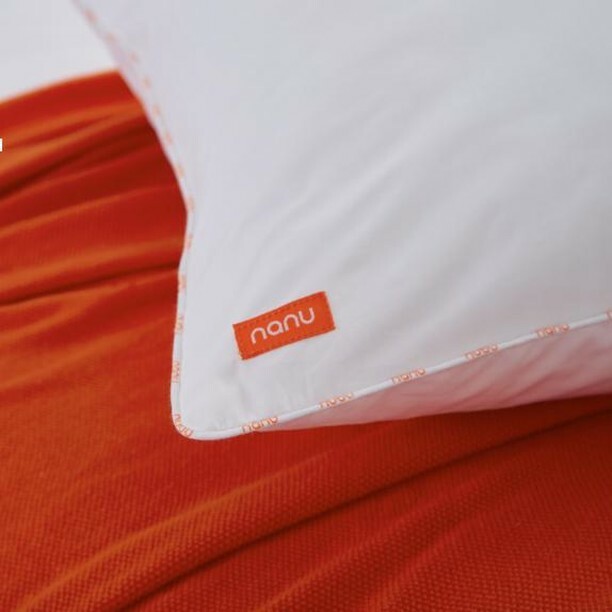 The Nanu pillow is the first ever personalised pillow and after answering a series of online questions, the information is then used in an algorithm making the right adjustments to design the perfect pillow! They are super soft, allergen free, pokes they are recycled with materials from plastic bottles. I was lucky enough to be sent one last year and it is so comfy and the perfect combination of soft and supportive. It reminds me very much of a hotel pillow and yet at one pillow for £35, or two for £50, it’s far less expensive than booking into a hotel for a good nights sleep! For fans of beauty products it doesn’t get much better than the Epionce Renewal Lite Facial Lotion. At this time of year our skin can really suffer and a good moisturiser is so important. Developed by Dr. Carl R. Thornfeldt, one of the leading dermatologists in the USA, Epionce Renewal Lite is a firm favourite among some of the best skin experts and clinicians in the industry. RRP £74 for 50ml. Is there anything better than snuggling up together with the one you love under a gorgeous throw? 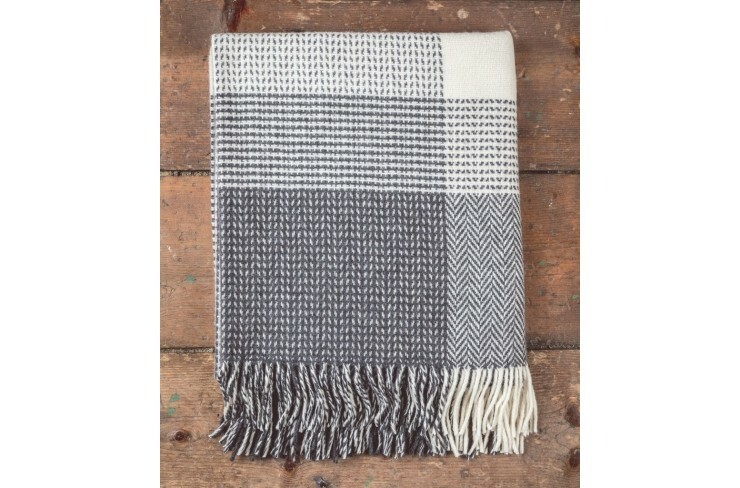 This stunning vintage grey and white check cashmere and lambswool throw, finished with a rolled fringe, is both stylish and warm. From Made To Last it is currently on offer at £99.99 and is my idea of the perfect Valentines gift! They have some amazing products over on the website so make sure to check them out! 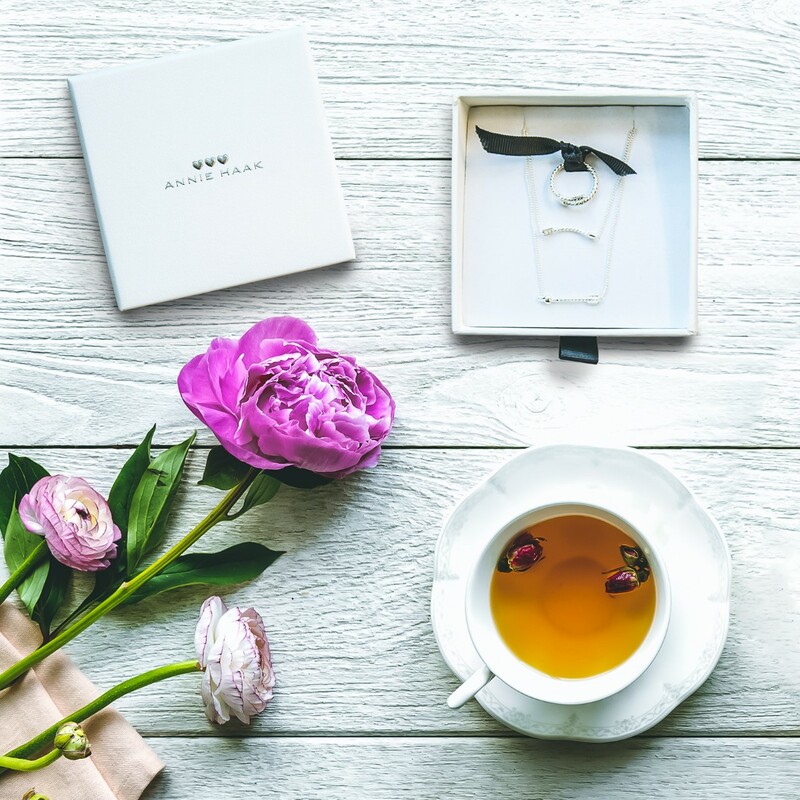 Jewellery is such a gorgeous gift this Valentines Day and ANNIE HAAK has the most amazing Valentines collection over on her website. I adore this Cupid Arrow silver bracelet, necklace and ring set (RRP £112) which I am currently giving away here. For those who love to cook, and of course eat, these beautifully handcrafted Thai coconut shell bowls are pretty special. 100% natural and unique, no two bowls are the same. Sustainable, lightweight and durable, the bowls and spoons are cut, cleaned and sanded, and then polished with coconut oil, all the while maintaining the original shape of a real coconut bowl. They are a real statement piece for serving up hot or cold food and cost just £19.95 for a set of four (also available in a set of two). Available from Vie Gourmet via www.amazon.co.uk. With bottles starting at £6 you can treat the one you love to a bottle of wine over a Valentines dinner. For those who prefer a quiet night in then you need the Roku Express. It has over 4,500 channels available in the UK, allowing you to select and stream the latest rom-com or your favourite show to watch as a couple. We’ve been using ours for the last few weeks and it is fab, so much so that we’ve cancelled our television package and are solely using the Roku Express! At £29.99 it’s a real bargain! Is there anything more unique and special than naming a star after the one you love? Find me a gift has some amazing gifts but this ‘Lovers Name a Star Gift‘ is so lovely! The most amazing thing isn hat you can name two stars, one after yourself and one after your other half, so that your love is immortalised for eternity. 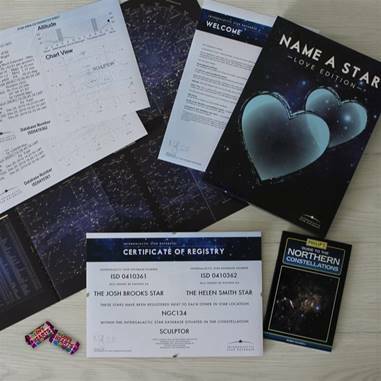 It comes in a lovely presentation box with an introduction letter, an A4 limited edition personalised certificate, 2 x star area-coordinate sheets, a map of the stars, a guide to the northern constellations and 2 x Love Heart mini rolls! At £23.99 this is such a thoughtful gift! For those who love to share a cup of tea together, these mugs from Personalised Gifts Shop are a fun gift at just £14.50. 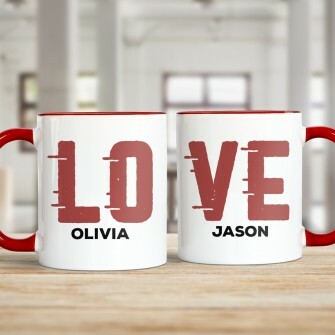 With Love split across two mugs, you can show your love to, quite literally, your other half. I love anything that you can add a name too and have got these for Gaz and myself this Valentines Day! There is no better gift for a poor time keeper than a stylish watch! I love this Vincero Mens Chronograph Watch, designed to tell more than the time. These luxury watches for modern men promote the innovative belief that you deserve the best so that you look, and feel, unstoppable. Engraved on the back of each of their watches is the motto “Live your legacy” to act as a daily reminder to never stop, never settle, and stay in relentless pursuit of your goals. You can buy this watch on Amazon at £133.51. 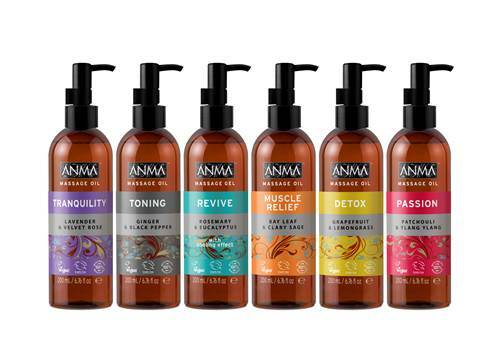 I love nothing more than a massage and this Valentines Day you can enjoy a massage at home thanks to Anma and their fantastic range of massage oils. In keeping with Valentines day the Passion oil will be a firm favourite, containing Patchouli Oil, known for its aphrodisiac effects, and relaxing Ylang Ylang Oil. The oil has been formulated to help stimulate and activate romance, boost energy, relax tensions, and leave the skin soft and silky. All oils are vegan and cruelty free and currently on offer at Superdrug priced at £6.59. 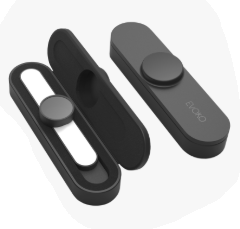 For those who love photos, or are fans of a selfie, the Evoko Groupie is a fantastic gift. It is a portable, wide-angle illumination lens, which effortlessly adheres to any computer, laptop or smartphone making it a total replacement for the Selfie-Stick. Simply put, it expands the field of vision to fit in everybody you want to be seen or that perfect view behind you for that perfect Valentines photo with your loved one! The Evoko Groupie is portable and versatile, light weight, and comes with a travel case, a build in USB charger to power up its 8 LED lights lasting 13.5 hours, and is such a handy little gadget! Watch out for lots of selfies coming up on my instagram account this Valentines! RRP £72.60. Personally, when choosing a gift I always go for something thoughtful and personalised gift. 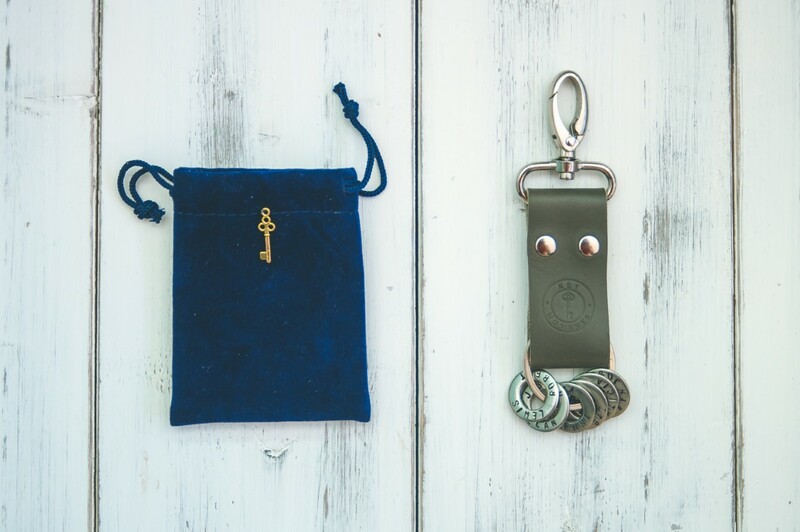 With that in mind, these personalised leather Key Moment key rings are the most beautiful gift for the one you love, and you can personalise it in a number of ways. You can choose the key ring and colour, and then add on all of your precious moments onto metal disks (Moments) and have them personalised with names, dates, times and places. Everything is hand stamped and even more wonderful, 10% of all profits from Key Moments are donated to cancer related charities, specifically to research and support children and young adults. At £14.99 for the key ring and Moments starting at just £0.99, this is the perfect way to show your other half how much they mean to you and how all of those precious moments are etched in your memory forever. For those who are feeling fruity, what better way to celebrate than with Barefoot Wine’s Pink Pinot Grigio? A drier styled rosé, featuring notes of tasty tart apple and peach and raspberry, this wine is so good (it’s actually one of my favourites!) and is sure to add a touch of romance to your celebrations! At just £6.99 it’s highly affordable and a sweet little gift for your favourite person this Valentines. I recently discovered Aquila Jewellery and am so impressed with their beautiful range! 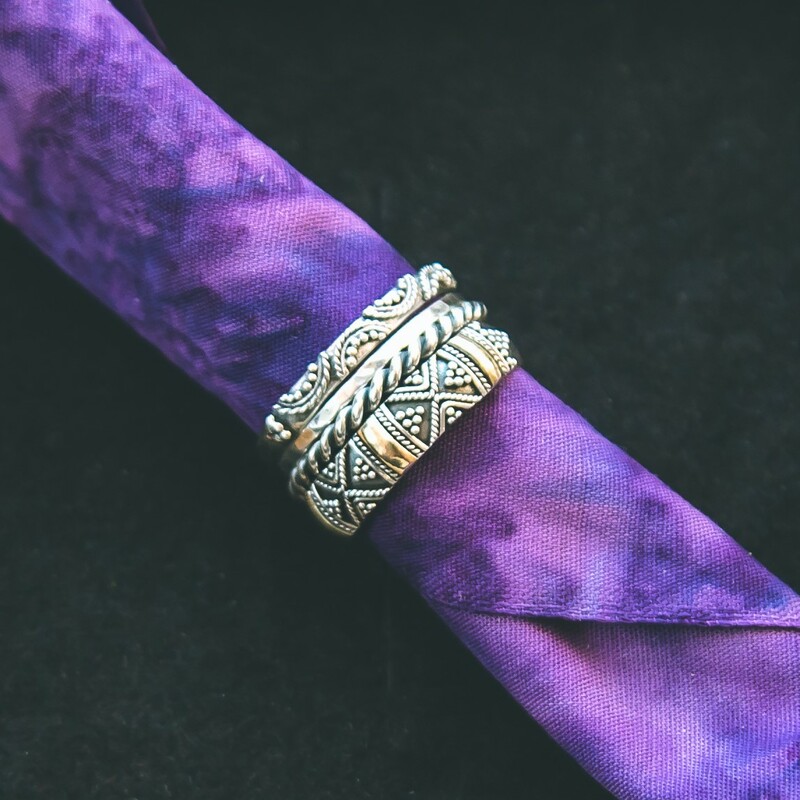 There are some amazing hand made pieces, all inspired by the owners travels, and my absolute favourite is this set of 4 solid silver rings, finished with 18K gold. Inspired by her travels around Indonesia, the rings perfectly combine intricate patterns, geometric shapes and traditional Indonesian design, 4 stacking rings designed to compliment each other perfectly. I recently received these rings and was amazed at how beautifully crafted they are and how detailed they are with their unusual designs. They also come in a gorgeous Kraft matchbox, hand stamped and lined with a natural hessian. Priced at £75 they are a stunning gift for someone special. Is there anything more romantic than whisking away the one you love this Valentines Day? Derby Hotels Collection is offering an incredible STAY AND LOVE Package (from £393) and an option for food lovers (from £385) for 2 people to enjoy in European cities such as Paris, Barcelona and Madrid. 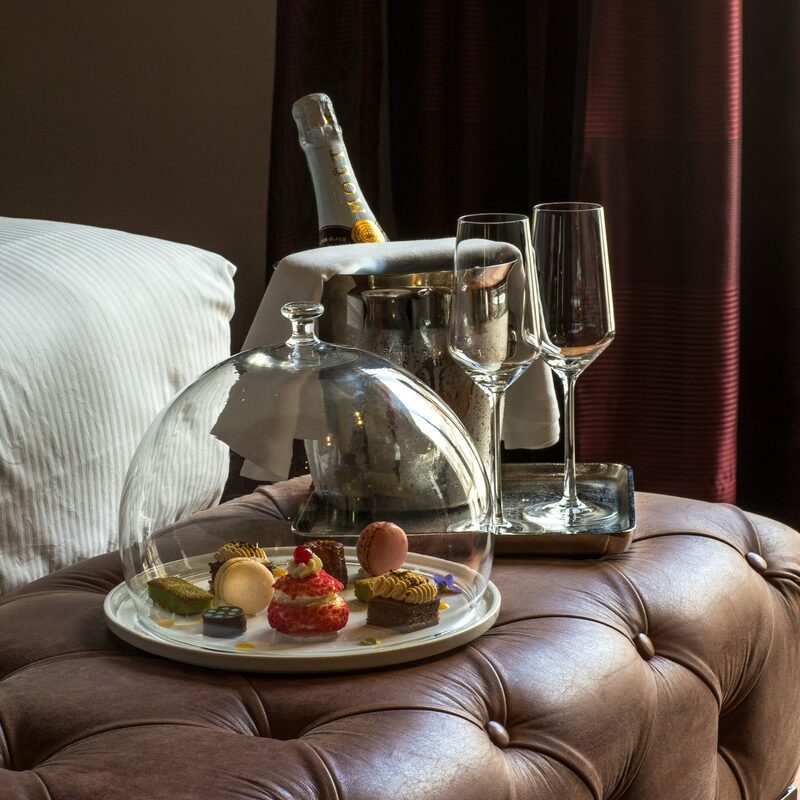 The Stay and Love package includes accommodation in a room of your choice, romantic breakfast for two served in your room, a bottle of champagne, chocolate truffles, a rose petal bath and a late check out! The STAY and CEBO includes a room of your choice, a buffet breakfast, The ‘Seventeen’ exclusive menu at a Michelin star CEBO restaurant showcasing cuisine from around Spain, and a late check out. We are offering one lucky winner the Vincero Mens Chronograph Watch worth £133.51 simply by following the link below. One winner will be chosen at random and notified via email at close of giveaway on February 24th. Good luck! I would like to receive a Personalised Mug. 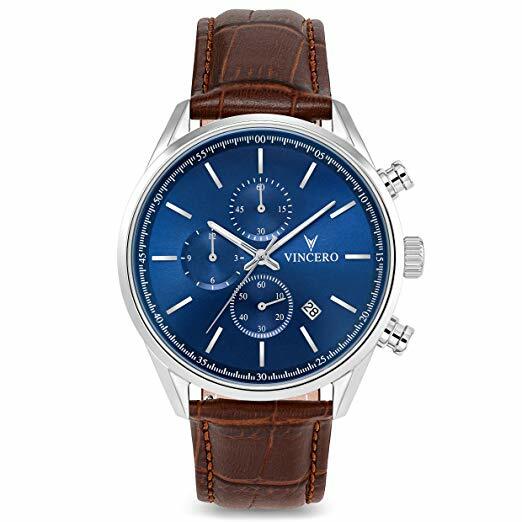 I’d most like to receive the Vincero Mens watch – it’s very stylish and the reviews on Amazon are excellent, so I’m sure I wouldn’t be disappointed. The watch is absolutely gorgeous, so that would be my choice. Has to be one of those Stay and Love packages! The Barefoot wine. If I had a bloke, I’d have said the massage oils!! A bottle of Barefoot Wine’s Pink Pinot Grigio as I love rose! I would love the Made to Last Throw to keep me warm! The Thai coconut shell bowls. The name a star set, so unique and pretty cool! I like the throw, it would look lovely on my sofa. A fab list of goodies but the Made to Last rug really caught my eye. The massage oils looks lush! I really like the uncluttered design of the Vincero Mens Chronograph. My husband would love that watch! I’d most like to receive the coconut shell bowls. Without a doubt the Nanu pillow sounds pretty fabulous. My husband loves the watch and I love the silver rings. Definitely the watch for my husband, he would love it. I’d love the watch to be honest! I would choose the Vincero mens chronograph watch. 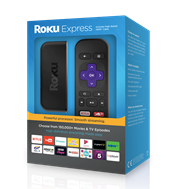 The Roku Express would be great for fending of the winter blues. The Mens watch for my hubby! The stay and love package! Love the Vincero mens chronograph watch. I love the watch! in fact, I love it all, but the watch is awesome!! I too love the watch. I would absolutely love to receive the STAY AND LOVE Package, it sounds lush! Would be such a treat! The four solid Aquila Jewellery rings are beautiful! Defo’ the watch as I collect them, looks a nice one. I would love the stay and love package. The coconut shell bowls as they are so stylish and would look lovely on my table.. The watch would be my choice – it’s very smart. I love the massage oils, they sound really nice. Thanks for the lovely giveaway. The ‘Name a Star’ gift! I think I’d most like to receive the throw – I love the pattern. I’d love to receive some of the wine! The Tesco Finest Saint Mont 2016, France sounds lovely and right up my street. The watch would be the perfect present for my hubby who will be celebrating a birthday soon. The Annie Haak jewellery would be lovely! yes please love this watch!! I’d most like to receive the Cupid Arrow silver bracelet, necklace and ring set; it’s beautiful. the Anma massage oils sound lovely! And my OH to do it! If there was chocolate I would pick that, I would love those Aquila rings, for my partner. I would love to win the set of 4 solid silver rings, finished with 18K gold by Aquila Jewellery. For travel fans, stay & love package. It would be a trat, something different to what we normally do. I love the =handcrafted Thai coconut shell bowls the most! The hotel stay and love package would be amazing! Definitely the watch, it such a true gentlemans watch and i’d be so thrilled to treat my wonderful hubby for a change as he’s always spoiling us. Oh I really like the set of rings, would be well chuffed to recieve them! I love the coconut bowls, however everything here is gorgeous! Definitely the Vincero Mens Chronograph Watch. I love the styling of it. A hotel stay is my favourite because we can really relax! I’d like the pillow – I love my sleep! I love the Annie Haak Cupid Arrow silver bracelet, necklace and ring set. So beautiful! The Stay&Love package. Even if it’s for just one night, there’s nothing more relaxing than a break away. My most favourite is the Mens Chronograph Watch since I could gift it to my Dad as a present – he would certainly like this. I love the Vincero watch. Vincero Men’s watch for the man in my life. especially due to its blue dial, the Vincero watch would make me happy! 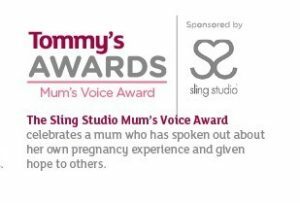 The Stay and Cebo package sounds amazing! I’m torn between the Aquila Jewellery sacking rings and the throw – if I have to choose 1 then the throw. I absolutely love ANNIE HAAK, so the Cupid’s Arrow set would be perfect for me. I love the Annie Haak Cupid Arrow silver bracelet, necklace and ring set its so pretty. also very drawn to the barefoot wine! my fave! I would like the watch for my partner as a wedding present as its navy like the theme we have for our cruise wedding and I wanna make sure he arrives on time! The Nanu pillow because I’d love a good nights sleep! id love the Roku Express. The Vincero Men’s Watch is lovely and a nice watch is something my husband would really appreciate. Given my lack of sleep lately (my daughter’s decided to stop sleeping at night again!!) it would have to be just the gift of sleep!! The Roku Express is the gift I’d most like to receive from these. The money we pay for a TV subscription is ridiculous. I’d love the romantic stay! Definitely the men’s watch. My son would love it. I would like the Sliver Rings. I would really love to try the Barefoot Wine’s Pink Pinot Grigio. The 4 solid silver rings are absolutely stunning. Just beautiful. I’d love to receive those personalised mugs especially as we will be celebrating our Golden Wedding this year. For myself it would be the jewellery set. 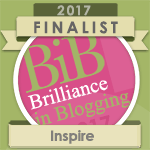 It’s absolutely lovely! I know my husband would like the watch though! The watch. Perfect wrist candy. cool craftmanship. I’d like to receive the watch. The classic styling would be ideal for my husband to wear to work. 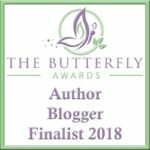 I would like to win the massage set as I need one! Thanks for the competition. The stay and love package would be amazing. Im so in need of a little break away! Aren’t we all though. The gift of sleep! I’d love the pillow! The watch would be perfect for my husbands big birthday this year. I’d love the STAY AND LOVE travel package. Hubby and I love Barcelona and would choose to go there as there is still so much we could do there. I need the gift of sleep so it has to be the pillow for me! The Roku although I dont get how it has so many channels, must be some very obscure ones! The Annie Haak jewellery set is lovely I could give it a good home! The wonderful men’s watch please. My husband would love it. He doesn’t own a watch now, since his old one broke. The Vincero Mens Chronograph Watch – Please!